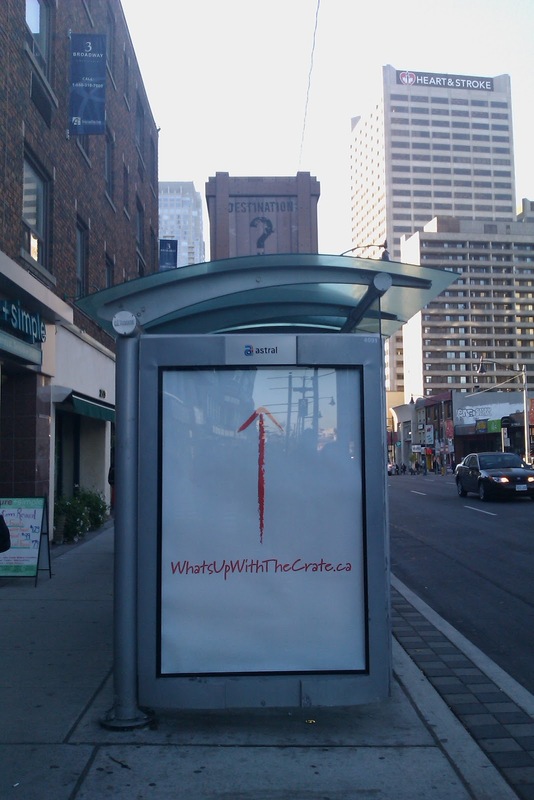 So, there's one thing on my mind after seeing this peculiar out-of-home transit execution: what's up with the crate??? 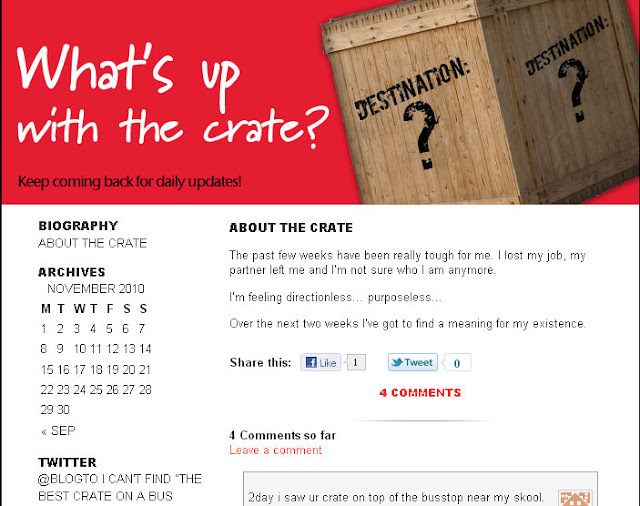 Apparently, the crate is the son of "Papa Barrel" - who knew! 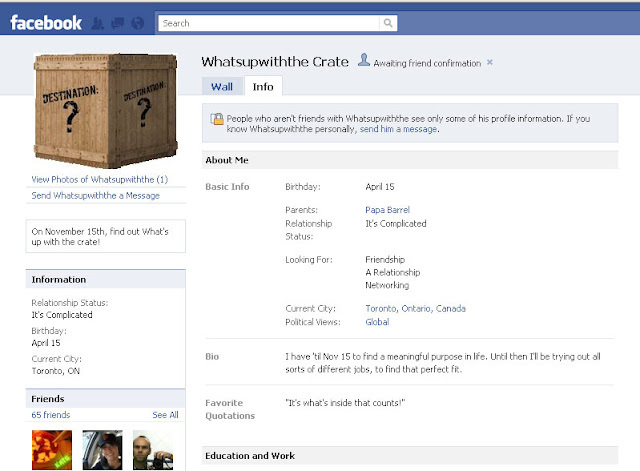 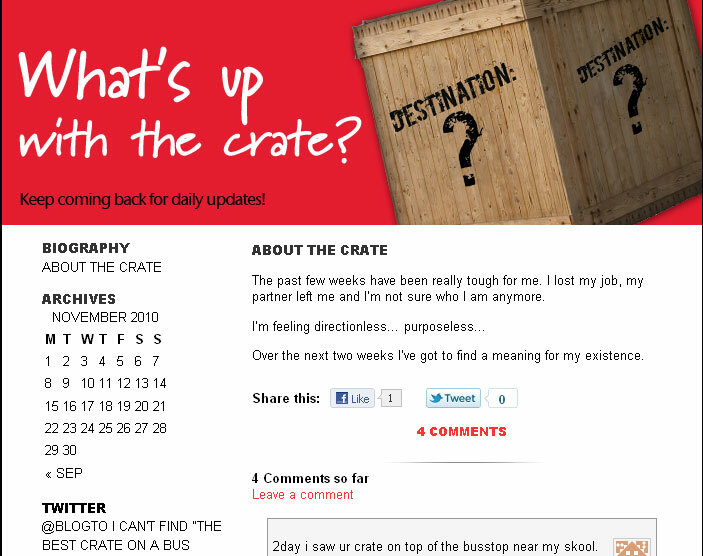 Anyways, according to the crate's Facebook page, November 15th is the date that we'll finally discover "What's up with the crate," so stay tuned! !